Construction took eight years, made possible by fundraising by the bishop, Mgr Giulio Mencuccini. 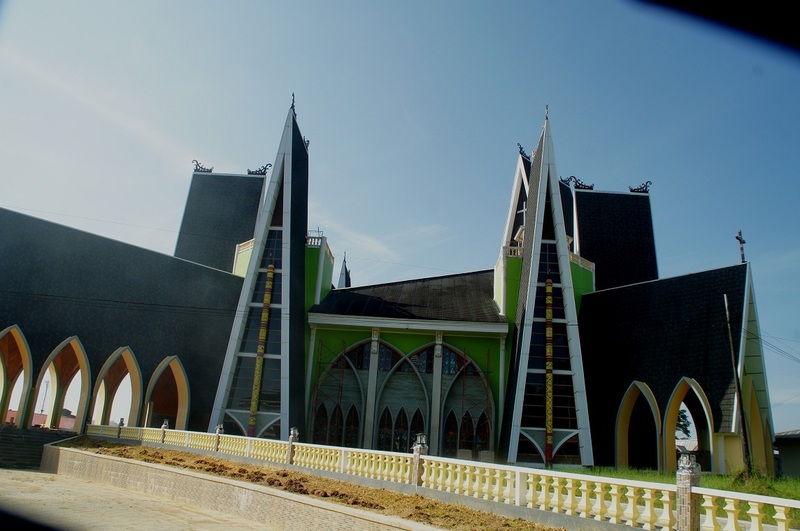 The new building can hold 2,000 people, four times the capacity of the old cathedral. 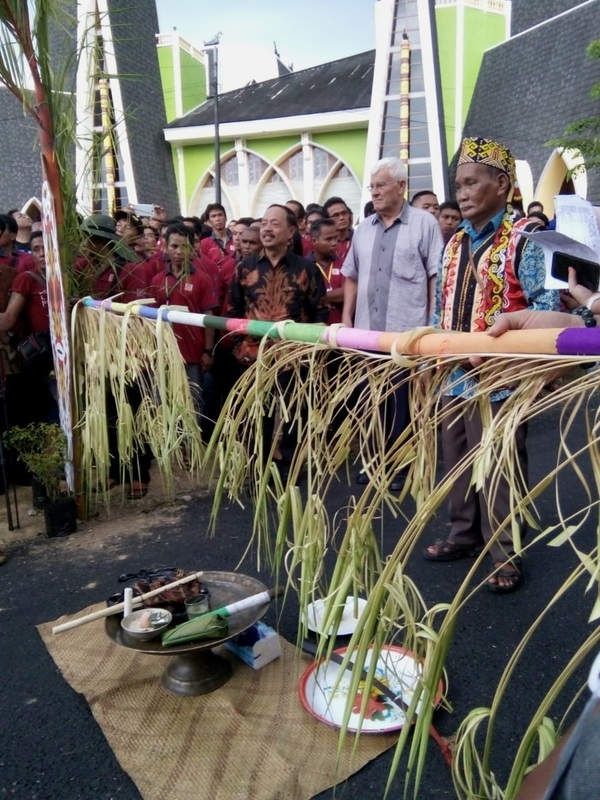 Traditional Dayak ceremonies welcomed the bishops before the festive service. 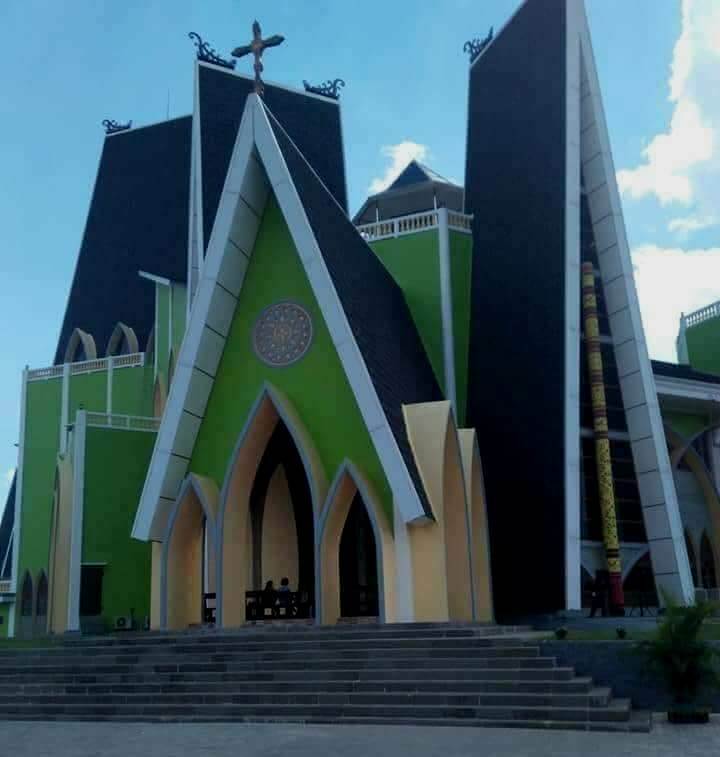 Sanggau (AsiaNews) – Some 15,000 Catholics travelled from different parts of the remote province of West Kalimantan to take part in the consecration of the new cathedral in Sanggau, which is dedicated to the Sacred Heart of Jesus. 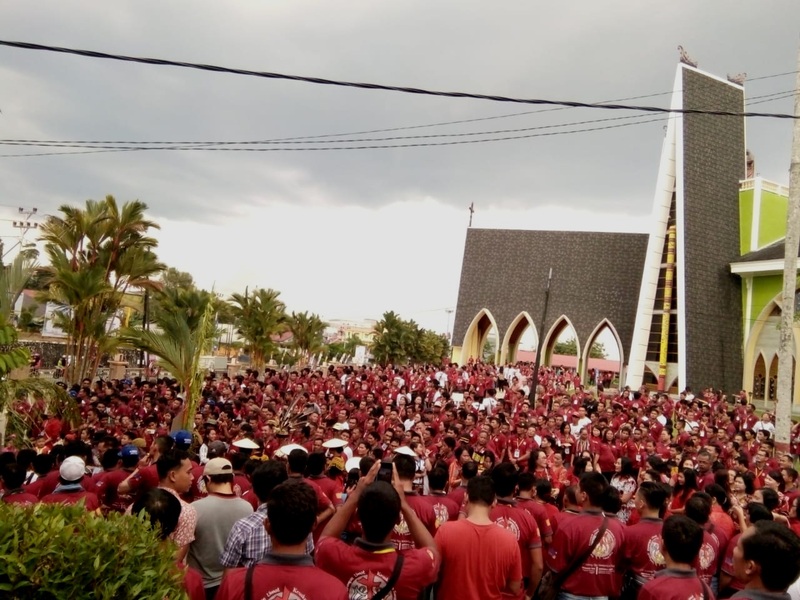 The festive Eucharistic celebration was held two days ago marking the end of construction. Everything started eight years ago with a fundraising campaign promoted by Mgr Giulio Mencuccini, bishop of Sanggau. 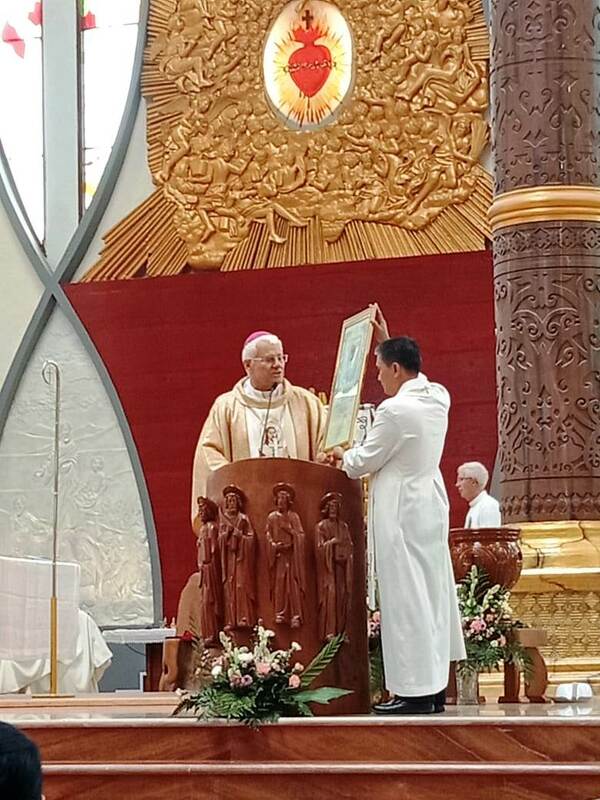 With a capacity of about 2,000 people, the new building replaces the old cathedral, which could only accommodate 500. 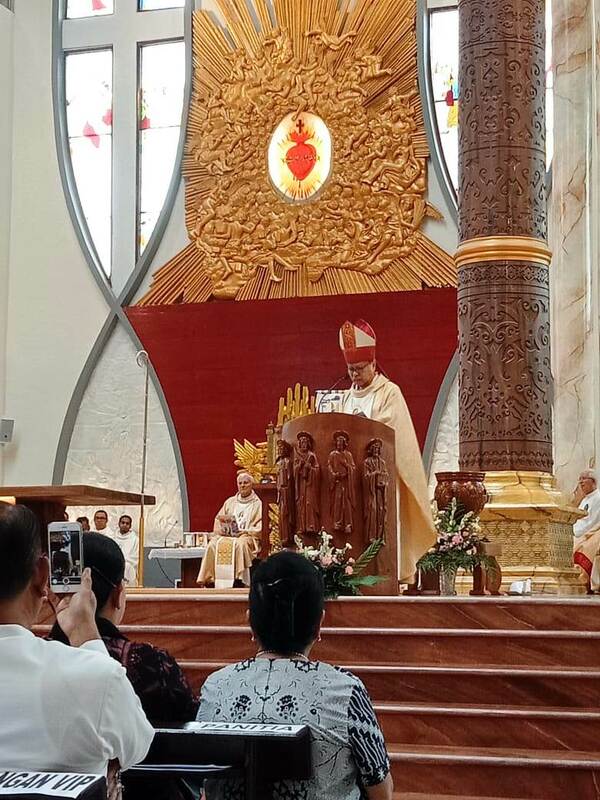 Mgr Ignatius Suharyo, archbishop of Jakarta and president of the Catholic Bishops' Conference of Indonesia (KWI), offered his blessing for the church. 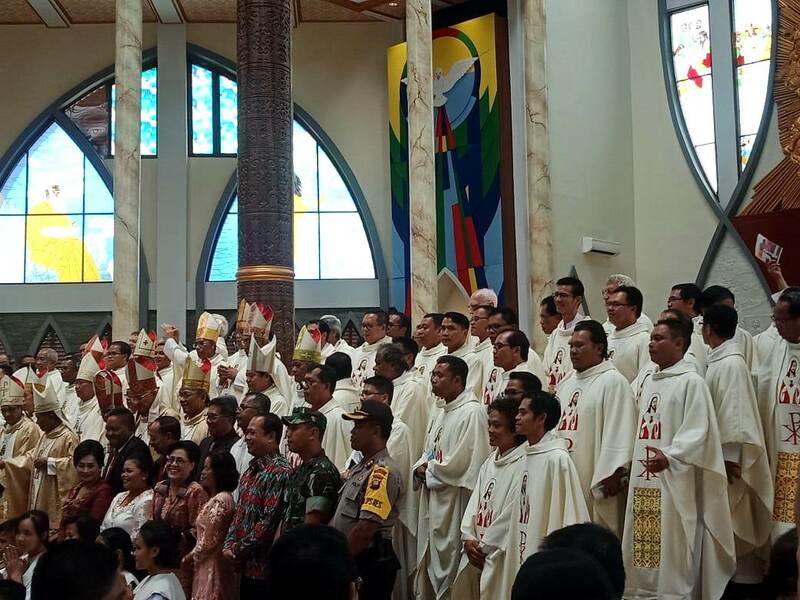 The service was led by Mgr Mencuccini with the participation of 17 bishops, hundreds of priests, men and women religious and believers from the parishes of the diocese and other parts of the province. 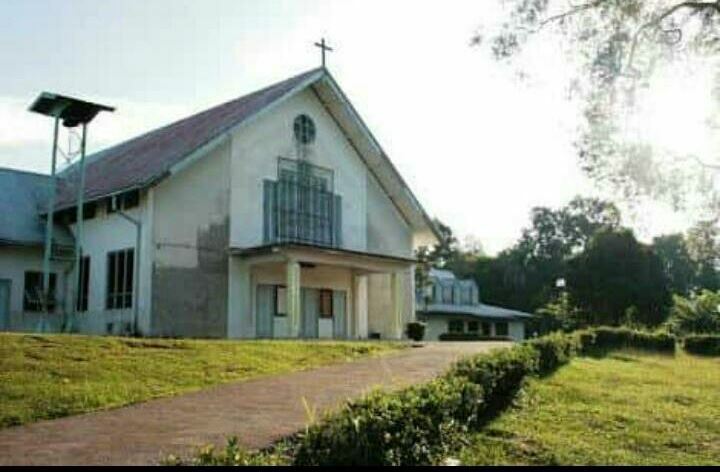 The day before, Mgr Mencuccini led a day of retreat in the presence of several prominent members of the local Catholic community. The district chief, who was present alongside the bishop, provide some material for discussion. 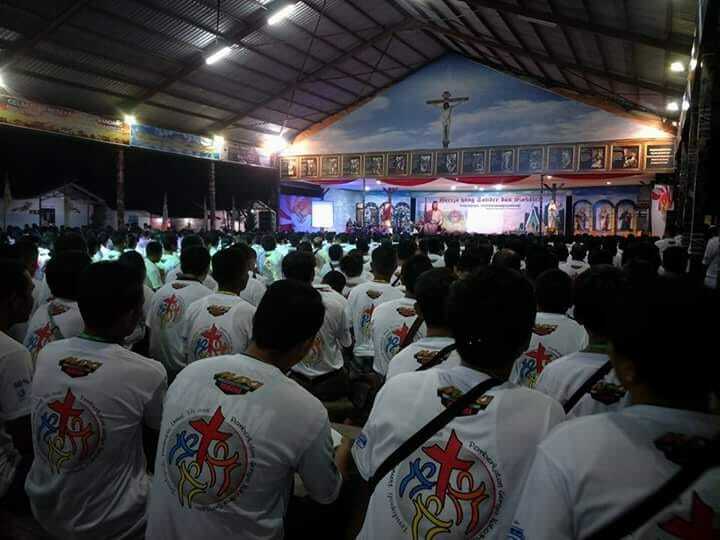 Fr Bartolomius Pr, a parish priest, told AsiaNews that "2,000 people joined the event". 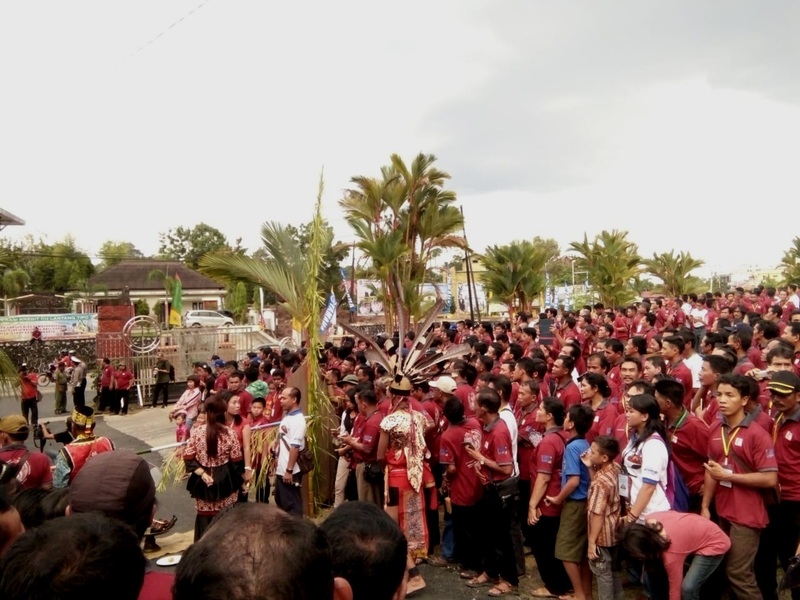 One of issues discussed was the social commitment of Catholics in the Sanggau community. 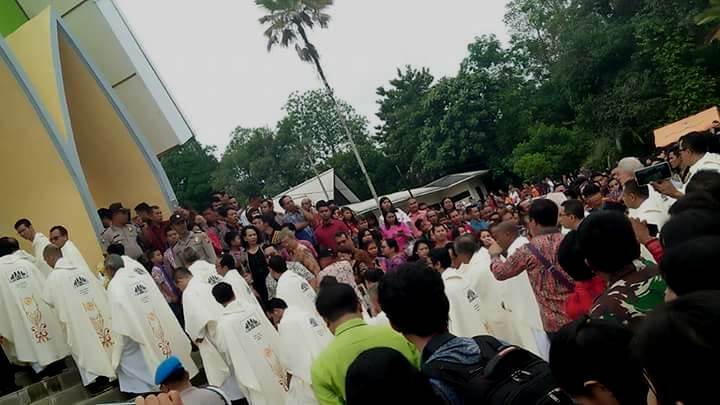 "In addition to being independent and impartial, people called on the Church to be integrated and involved in society,” Fr Bartolomius said. 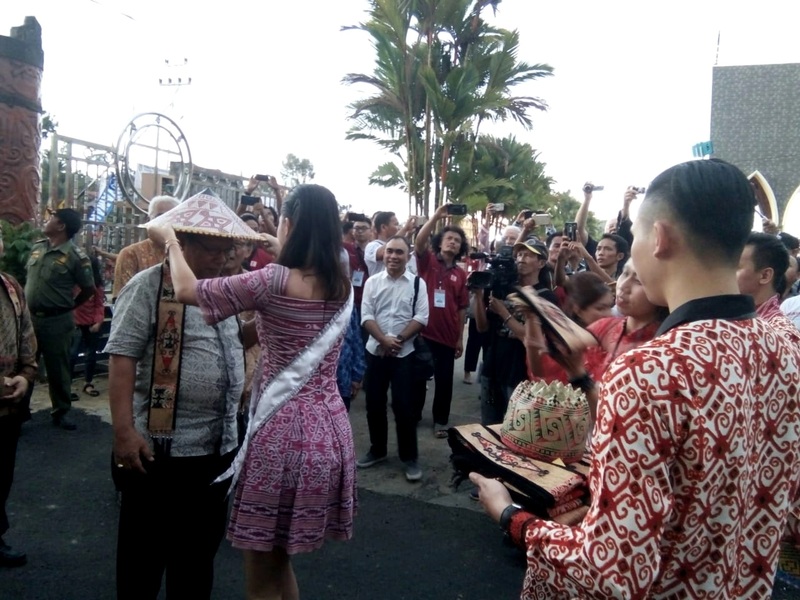 Some traditional ceremonies were held before the inauguration. 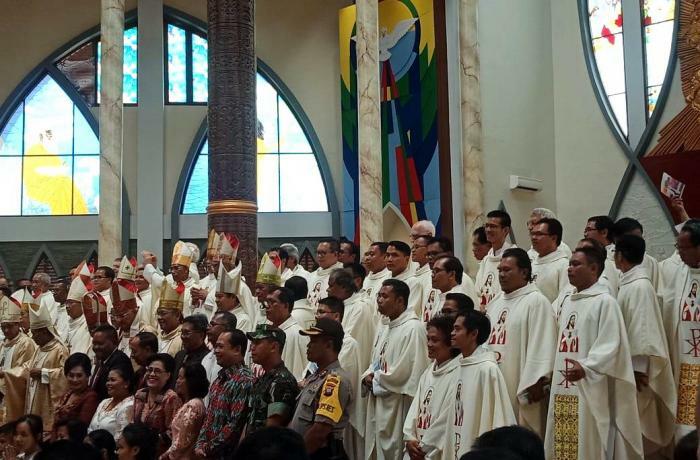 Ethnic Dayak welcomed the 17 bishops by offering them a typical scarf, a symbol of courteous hospitality and socialisation. 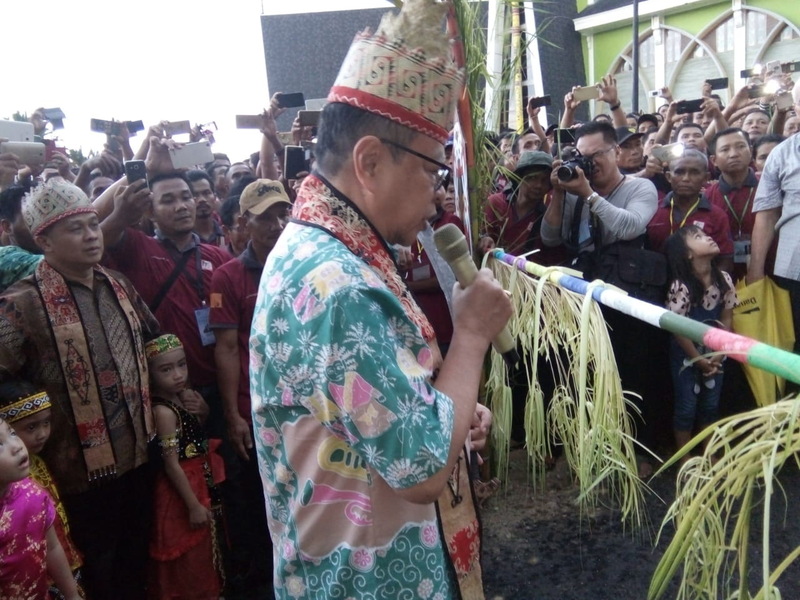 They then asked Mgr Suharyo to perform the Pancung Buluh Muda, the breaking of a young bamboo cane. 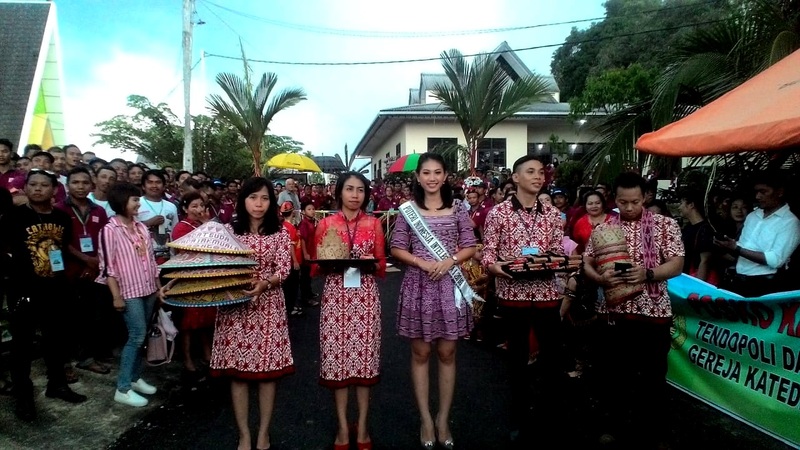 Outsiders carry out this symbolic gesture when they enter Dayak communities. 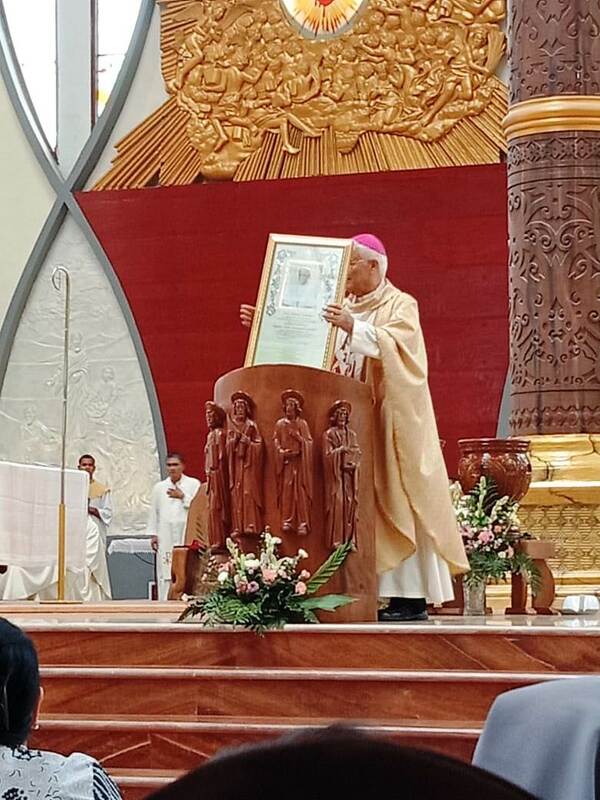 In his homily, Mgr Mencuccini called on those present "to become messengers of love and passion for others and be like a candle in the dark." 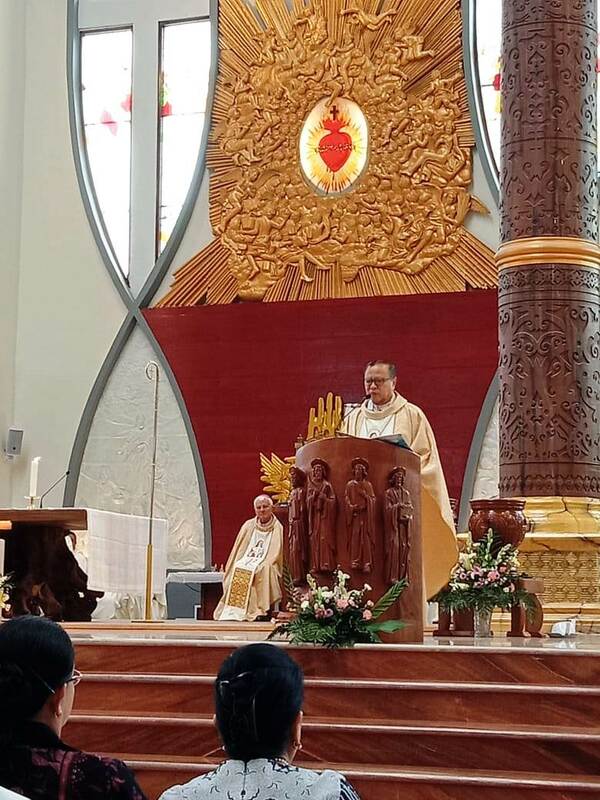 "Let us come to church and take home the spirit of tolerance and solidarity towards others", the bishop said by way of conclusion.